The word “ethics” calls to mind heavy, philosophical conversations, but in reality we make ethical decisions every day. Most of these decisions are so straightforward we just think they are common sense. But sometimes we are faced with more complex situations in which the correct course of action isn’t clear. In these cases, it’s important to stop and think about things from an ethical perspective, even if you think you know what to do. This course provides you with some basic tools and concepts for ethical decision making in the workplace. It is not intended to replace guidelines established by your organization professional association. You should have a good working knowledge of your organization’s ethics code, and refer to it whenever you make an ethical decision. Define ethics and give some examples of ethical codes of conduct. 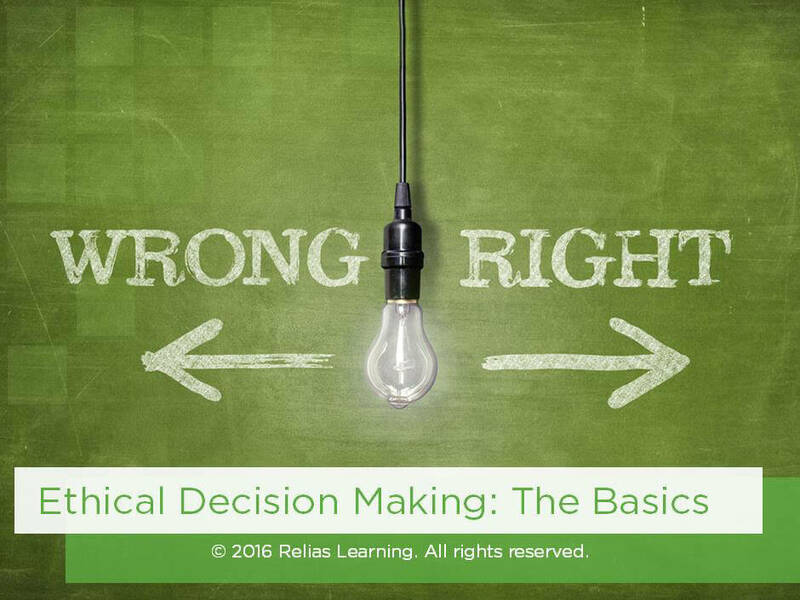 Apply ethical decision-making models when faced with an ethical dilemma. The target audience for this course is: entry and intermediate level General Staff; in the following settings: All Healthcare Settings.